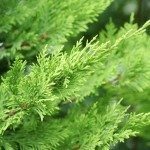 Are Arizona Cypress the Same as Leyland Cypress? Are Leyland cypress related to Arizona cypress trees? Allergy issues involved. They are only slightly related. 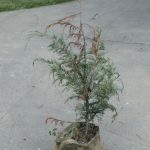 The Leyland cypress is a hybrid created from the Monterey cypress (of which the Arizona is closely related to) and Alaskan cedar and does not occur naturally on its own. If you are allergic to Leyland, it could be attributed to the cedar as well, rather than simply the cypress side.